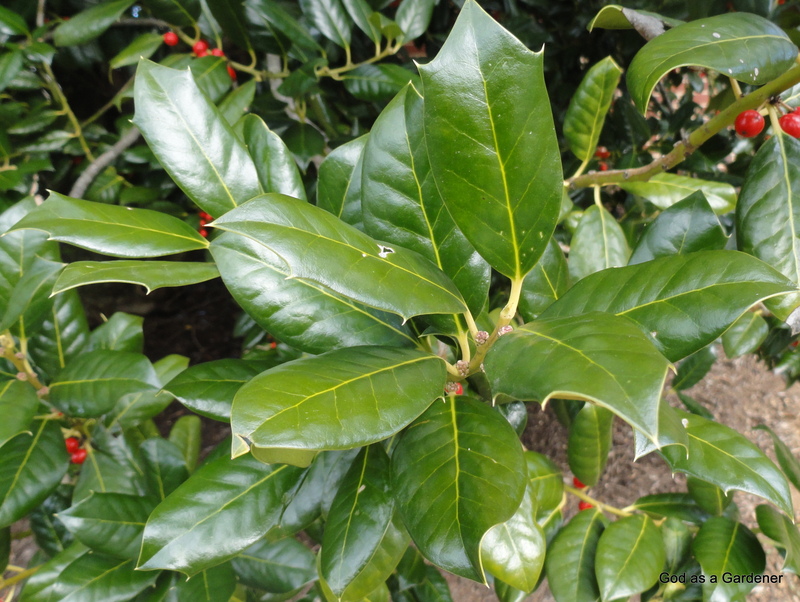 This entry was posted in Uncategorized and tagged Bible Garden, Bible Plants, Bible Study, God as a Gardener, holm tree, Ilex opaca, plants. Bookmark the permalink. 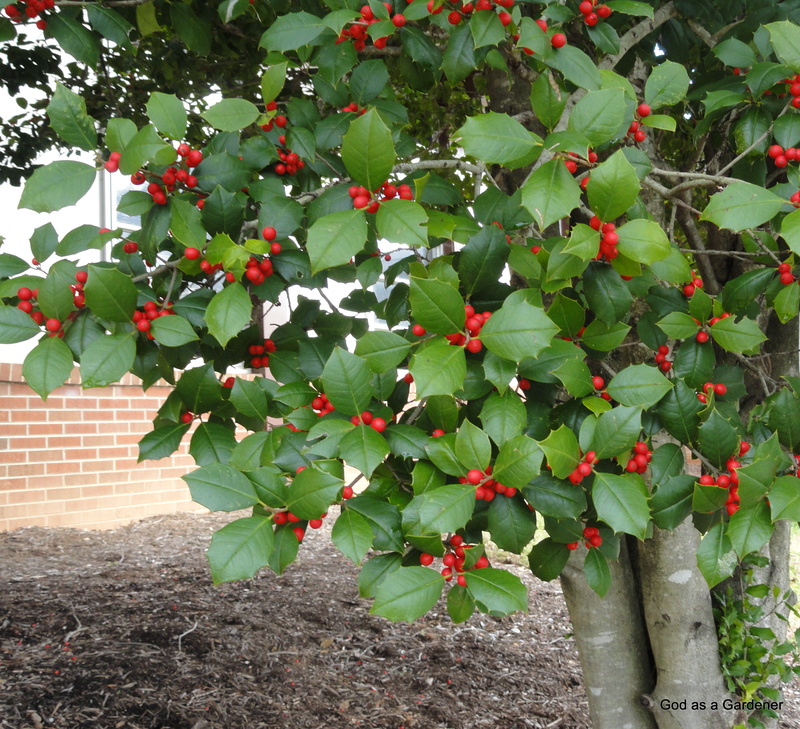 Carolyn, I have noticed how beautiful this holy tree is this year. 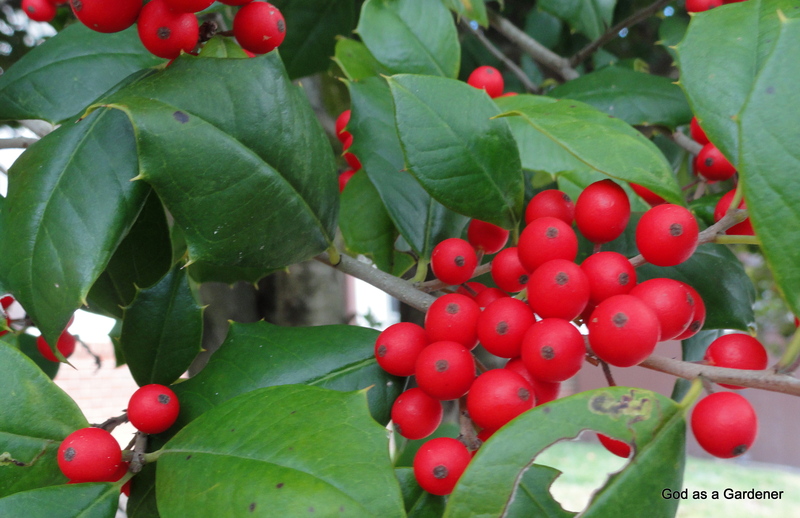 I believe that it has more berries than usual….Thank you for your posts on plants of the bible. I have thoroughly enjoyed them!